Happy Friday! 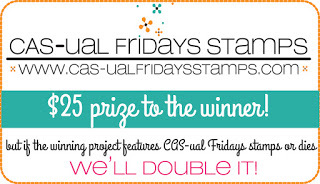 Time for a new Cas-ual Fridays Challenge and the theme is birthday! 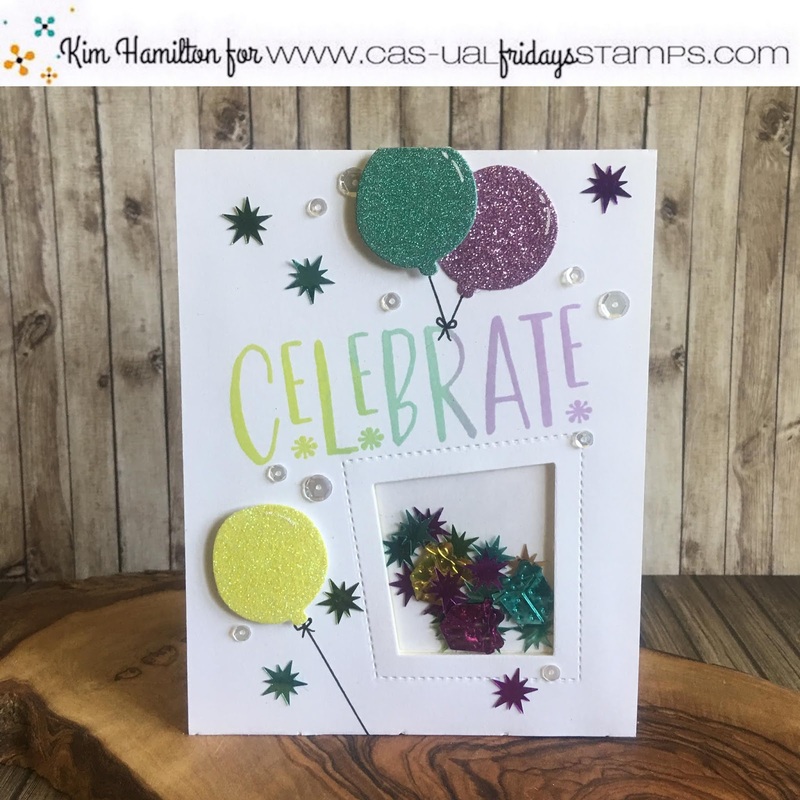 I used the fun new 3 x 4 Celebrate stamp set for my project and the balloons from the Bunny Fri-die set. The inspiration for this project was the confetti I used in the shaker portion. 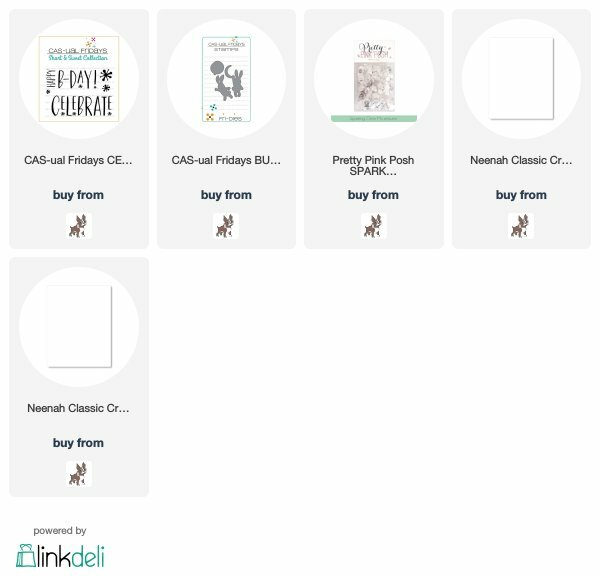 I picked three ink colors and used my Stamp Platform so that I could ink my stamp twice. 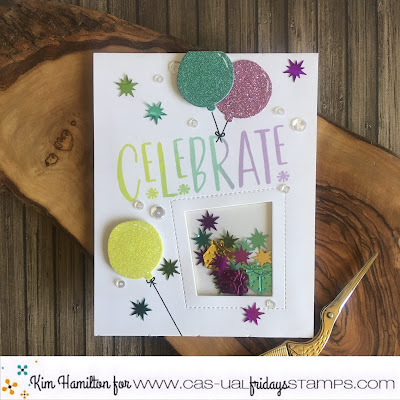 I love the effect of multiple inks on a sentiment. The die cut window is by MFT and the glitter paper that I used for the balloons is by Simon Says Stamp (I LOVE this glitter paper so much). To finish off I added some of the same confetti and some Pretty Pink Posh Sparkling Clear Sequins.